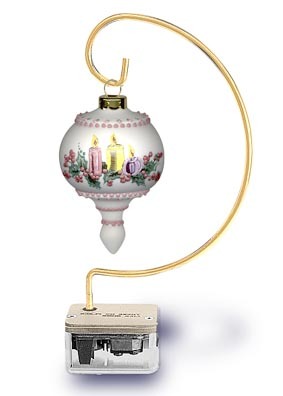 ROTATING ORNAMENT HANGER & DISPLAY HOOK Uses the Power of a Standard 18-Note Wind-Up Musical Movement to Revolve Display Items. 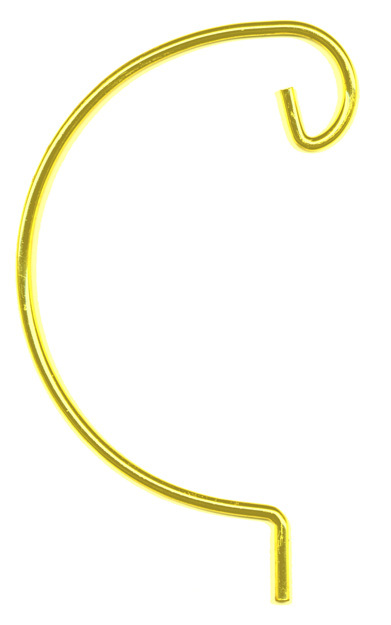 Bright Gold Color Finish Ornament Hanger is Attractive yet Sturdy Wire. #390-980-09. Click below to view. click on MUSICAL MOVEMENTS in "Products" Pull-Down Menu. To See ORNAMENT CAPS click on Selection below.